The bottom line is this: Unless tax expenditures sunset, there is little incentive for legislative committees to take evaluations seriously. Iowa is behind — not that we didn’t already know that. A new report by the Center on Budget and Policy Priorities (CBPP) examines several aspects of what states do in budget planning. 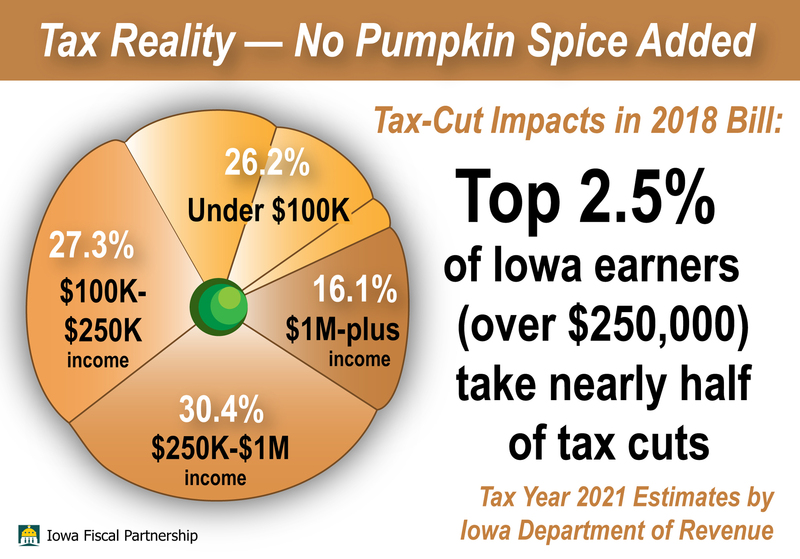 Particularly noteworthy in the report for Iowa is its poor attention to the impact of tax expenditures — spending through the tax code. When we have a tax break on the books, such as a credit or exemption, it has an impact on the budget bottom line the same as if the lost revenues were spent on the other side of the ledger. 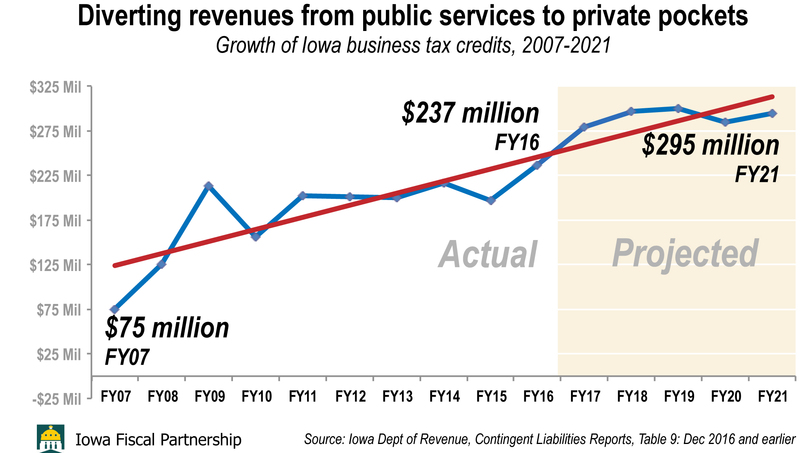 Most of this spending, as the Iowa Fiscal Partnership has shown over the years, is on autopilot. These breaks exist year to year, never requiring renewal — unlike the kind of spending we do through direct appropriations, where critical services are subjected to annual scrutiny to exist or not for another year. When recessions occur, states must scrutinize all forms of spending. An important tool for this is oversight of various tax expenditures (tax credits, deductions, and exemptions that reduce state revenue), which in many ways function as spending through the tax code. This will enable states to make sound choices between the most essential tax expenditures and those the state can forgo. For example, states can regularly publish tax expenditure reports that list each tax break and its cost. And states can enact sunset provisions so that tax breaks expire in a specified number of years unless policymakers choose to extend them. The problem in Iowa is not a lack of analysis or data. 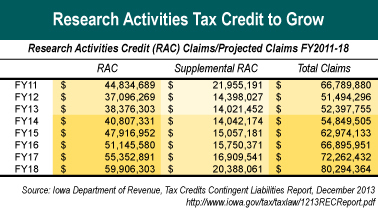 The Iowa Department of Revenue (DOR) has produced solid tax expenditure studies in 2000, 2005 and 2010. They are found here on the DOR website. 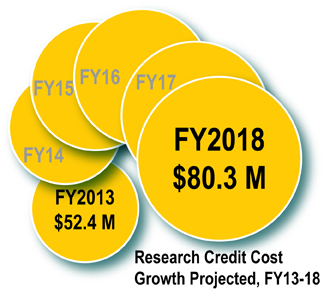 And there is considerable information outside those formal studies that illustrate overall costs — primarily a so-called “tax credit contingent liabilities report” offered three-to-four times a year by DOR for use by the Revenue Estimating Conference. Furthermore, a number of important tax expenditures have been the subject of in-depth reports to the legislative committee charged with reviewing tax credits. Oversight of tax expenditures: expiration dates for tax expenditures after a set number of years to subject them to regular scrutiny of their cost and effectiveness, in addition to tax expenditure reports that list the costs of individual tax breaks. Such expiration dates are called “sunsets.” A special Tax Credit Review Panel appointed by then-Governor Culver in the wake of the 2009 film-credit scandal produced a set of strong recommendations for reform, among them a five-year sunset on all credits. This proposal was ignored. Furthermore, a review of tax credits on a five-year rotation set up by lawmakers in response to that panel’s recommendations has produced no apparent policy change; this perhaps is not surprising since the committee that reviews the credits has not issued findings that the credits are meeting the intent of policy, or producing a return on the taxpayers’ investment.